I like to look at pictures of my holidays. I try to enjoy myself as much as I can and I like to think back to all the beautiful moments. Holidays can be officially over, but I am looking forward to doing new things, seeing new places, thankfully there are also weekends ;-)...I firmly believe in taking a chance to relax and feel good and every occasion can be good to do it...even if you have a walk in a nice place, or just have a laugh, if you enjoy a special meal, go to the cinema or simply dedicate to your personal care. Taking "me time" is the real luxury. What do you think ?. Mi piace riguardare le foto delle vacanze. Cerco di divertirmi il più possibile e mi piace ripensare a tutti i bei momenti trascorsi. Le vacanze possono anche essere ufficialmente finite, ma io non vedo l'ora di fare cose nuove, vedere posti nuovi, inoltre ci sono sempre i fine settimana ;-)...credo fermamente nello sfruttare ogni possibilità per rilassarsi e stare bene e ogni occasione può essere buona per farlo...che possa essere fare una semplice passeggiata in un posto carino, farsi una bella risata, godersi un pasto speciale, andarsene al cinema o semplicemente dedicarsi alla cura della propria persona. Prendersi del tempo per se stessi è il vero lusso. Che ne pensate ?. Positano - so beautiful ! The dress you see in this post was bought in the Upper East Side in New York, in a shop called Searle. I love the model and the color ! Il vestito che vedete in questi pochi scatti è stato comprato nell'Upper East Side a New York da Searle. Mi piace molto il modello e il colore !. What shall I do without my Iphone ? Especially without my App for Twitter and Angrybirds, hehe ! beautiful photos , beautiful dresses! What a lovely selection of summer dresses! 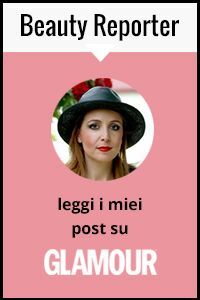 Vale, grazie mille per il commento sul mio blog che mi ha fatto scoprire il tuo, davvero carino e continuero' certamente a seguire le tue style adventures..! your dresses are very beautifull, and I love these shoes!!! Oh such lovely photos! 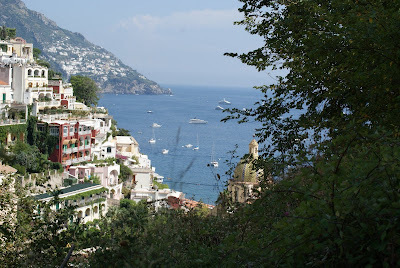 I love Positano, such a beautiful place!! I adore the second dress!! Never been to Amalfi coast, but I´m dreaming with being there one day!! sono stata anche io sulla costiera amalfitana quest'estate! solo un giorno ma l'abbiamo vista tutta passando in macchina prima di prendere il traghetto per Ischia! bellissimo il secondo vestito, ma anche l'altro! thanks for your comment. actually i do love your blog so i follow you! follow me back then?? wow, you look stunning! love both dresses....so beautiful!! Gorgeous dresses! 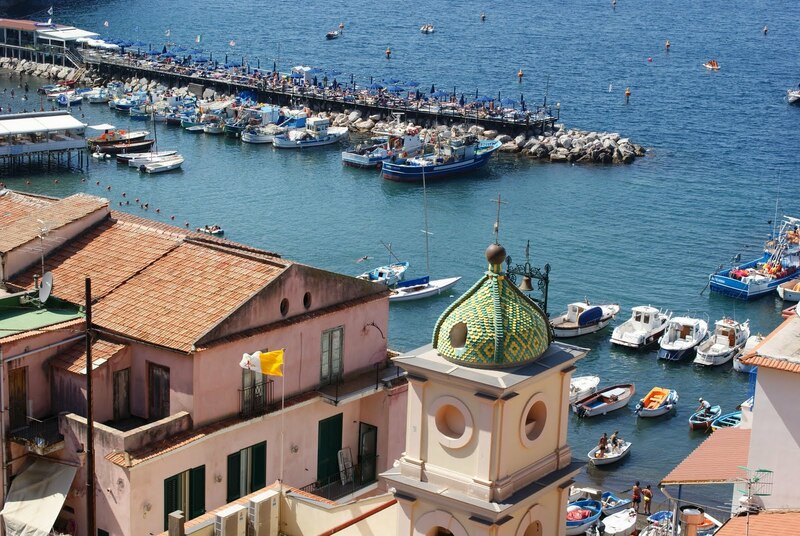 It would be easy to take "me" time when one lives in beautiful Italy! Thanks for visiting mu blog!!! I'm following you and now you can follow me too. Gorgeous place, dress and purse!! Wow! I really love the last dress on you! Now I need to go to NY to buy it! Your holiday looked so amazing! Hi Thanks for visiting. Your blog is beautiful too. I'm following here. Our beautiful images that, dream of going to Italy. you are beautiful. I'll see you there on my blog as well. I love the dresses girl!!! Oh, you ve got such a cute blog!! I love it! I spend new survey ..
Have you watched the MTV awards prizes? if yes whether you agree with all the awards, or something you think was unfair? I like bothe dresses! (I prefer the first one though)..
thanks for answering to my comment!! Of course I would like to follow each other! Following you from now and hope to "talk" to each from now on!! I absolutely love your two dresses, such beautiful pictures. Of course we should follow each other , dear. Your post is so inspiring, one of the best that I read today! I'm in love with that dress from Searle - the print is beautiful and the dress fits you perfectly! beautiful dresses, love the juicy bag! woooo amazing pictures, you look gorgeous! I am following you so please follow me back :) Thanks Sweetie! Lovely blog. Following. Come and follow me back. Hi there! You've got an amazing blog! Would you like to follow each other :-)? That place so beautiful and I dress so beautiful, you feel great. Wow, awesome! I love the second dress, it's so cute! Do you travel so much? I hope travel so like you. It's great to see the world. the dresses are beautiful and the scenery is perfect! I'm from Brazil and you? I don't wanna the holidays end... I love the two dress, you look so beutiful. I love your style and your blog! Check out mine and follow! I follow yours back! I totally agree with you! Taking time for self is the real luxury and something that's oftentimes needed, nowadays even more. I have new post, so if you want check out! Btw, could you please vote for me? I'd really like to win and experience this trip, Italy and Rome and on the first place to meet Chiara Ferragni! Just click "like" button by the pink heart! Thank you in advance! You have a award in my blog! See it when you can. I need you to follow my blog please! Not through google friend! I know the feeling when holidays come to an end. you are soo lucky to be in europe! so many places to visit!! food is delicious and lots to learn! Love if you follow back me.. Isn't it true that photographs are moments captured for eternity. Well, for a long time for sure. I too love to look at vacation pictures and relive the lovely moments all over again. Love the hair bow and the first dress. Have a great weekend ahead. Thanks for you love comment on my blog . Thanks for your comment, but I don't know what is google friend connect, can u explain? I love the design of your blog, it's so funny! Both your dresses are beautiful! your photos are very beautiful too! i'm enchanted to follow you. Girl- you look gorgeous!!! :) I love every single picture. I look at old vaca photos and I swear it really can take you back to that happy place! Lov your style,look so beautifull! Thank you for visit my Blog! You have a very nice Blog, I´m lovin it! really nice photos! love your dresses. Thanks for your comment. the two dresses are GORGEOUS on you!! the 2nd dress is my favorite!! thanks for stopping by feast.fashion.faves....following you now!! Hi darling!thnx for ur comment, OMG u have many follwers, u have a nice blog!! Hey Vale - great post, great blog!! Would love to follow eachother! Thank you so much! I love your photos too! Do you know how much I love the header of your blog??? wow! your blog is amazing! you're really beautiful woman! Nice blog! Wanna follow each other? Just follow me and I'll follow you back. i am envy you!!! :-((( i would like to be in italy, just right now!!! Of course, I absolutely follow you. Oh this looks like a wonderful holiday! And I really like the spy zone exchange dress on you, so pretty! Hi! 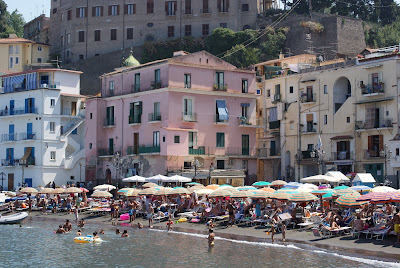 I love the pics of Positano - I have always wanted to go there, and the Searle dress is divine!! ps - Thanks for you comment and for visiting my blog!! I now follow you, follow me back if you please!! AMAZING outfits and lovely blog! I absolutely LOVE the beautiful pattern of your first dress! Beautiful pictures and places. I liked so much. What a chic outfit and a gorgeous location!! I am definitely in agreement that "me time" is uber important...and something that I have felt lacking in lately. It's a long holiday weekend in the US, signifying the end of summer and it's always a bit of a bummer to know that winter is just around the corner and the trips to the pool are almost over. Such beautiful pictures and outfits ! thank you so much for the comment on my blog! every little comment i get makes me smile! great photos of your vacays! i definitely look forward to weekends to relax and try new things around my hometown. Thank you for your lovely comment at my blog!! You've got so beautiful blog! I definitely subscribed at your blog and I'll really appreciate when you follow me back as you've promised! Good luck and stay safe! Hi there! Thank you for such the sweet message! I would love for you to come visit New York! I have followed you back! I had already followed you :) Great pictures. You are totally right! It is very important to take some rest! Gret outfit! Thanks for your comment! I'm already following you, follow me back ;) Those pictures are beautiful! Hey, thanks for the nice comment on my blog!! ♥ I think you look amazing on those pictures! This blog is a show!!!! Thank you too for visiting my blog!! I would you to follow me as I will do! Positano is amazing but your style here is something else. Once again, you look really amazing!!! Thanks so much for visiting and for your lovely comment on my blog!!! Yes I agree me time is a must! your pics are beautiful! is that you? you're very beautiful! I love that last purple-ish dress! It's soo soo pretty!! And all of these pictures are amazing, I really want to visit! thanks for the kinds word dear..i would love to follow you :) you look absolutely amazing in these pictures.. Thank you very much for following me & joining the giveaway! These photos are so pretty! I love them, and your dresses are gorg!! Thanks for the follow on bloglovin! You have a lovely blog. Looking forward to reading it! beautiful dress and i envy you really, cos i too like to travel but i am on a budget right now. Men!!! i don't think you need me to follow you u have a lot of followers. how did you get this many? men i need to know your secret. and you have given me a very good idea. i can speak and write french very well was even considering having a french blog, i can just write both in french and english like you do. there by expanding my blog more. :) You take amazing pics! What a beautiful setting! I love your dresses. I am following you now. I hope that you will follow my blog, too. Gosh!!! Stop the world!!! I died right knoe looking your closet and shoes!!!! A dreammmm...and you are so cute!!! Thanks for visiting me, kisses from Brazil! Beautiful women in beautiful places! OMG!! the first dress is so cute!! ..omg , you are truly fabulous , and I love your shoe collection as well ..
following your amazing blog ..